I recently caught up with a 1996 Straight-To-Video release starring Sam Elliott, DogWatch. All of this courtesy of my Netflix subscription and my more than beloved ROKU box streaming the Netflix content through the 46 inch Vizio high definition wide screen. It’s a wonderful age in which we live, no? The only stuff that keeps this movie from being a classic Noir is that it’s shot in color and doesn’t have any narration. Everything else is in order. Snappy dialog, lots of shadows, bad girls, a bad decision on the part of the hero which ultimately leads to his downfall and, well, death, since you asked. You can tell the age of the movie just by watching the scenes with the strippers--NO TATTOOS. What a pleasant surprise. Tattoo-free nekkid women. And that’s pretty much it for the story--Oh, there’s plenty of interesting twists and turns, and Sam Elliott is always good..........and he has the world’s best mustache. Like my grandmother used to say--”Kissing a man without a mustache is like kissing a fish”. Did I mention that I have a mustache? No? Well, I do. A good one, too, but it’s not nearly as good as Sam’s. 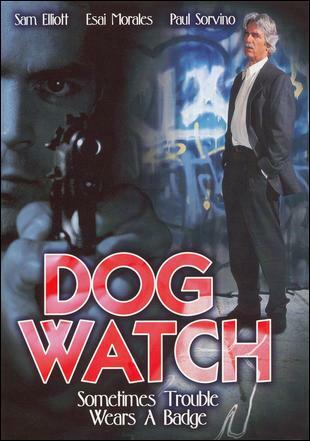 This feature was produced by John Langley, a veteran director of 64 episodes of Cops, not to mention Vegas Strip, Las Vegas Jailhouse, Undercover Stings, Jail, and Street Patrol. And if that ain’t a ringing endorsement, then I don’t know one. 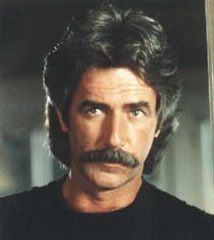 As our hero with faults we have the one and only Sam Elliott. He makes a good Detective. For my money, though, he will always be Virgil Earp. You might have a more favorite role for him, like Wade Garrett in Road House, but for me, it’s Virgil Earp. As his side-kick we have Esai Morales, that Brooklyn-born veteran of Alvin and the Chipmunks Meet the Wolfman. Nothing like an Alvin and the Chipmunks movie to flesh out a resume. Another Brooklyn boy, Paul Sorvino, plays one of the corrupt cops. His side-kick, another corrupt cop, is portrayed by The Wonder Years dad Dan Lauria--Dan’s a Marine combat veteran, a former wrestling coach, and also from Brooklyn. But in this movie, he’s plain evil. The movie is set in San Francisco, but seems to be shot mostly in El Lay. How odd. Absolutely worth the time spent if only to see, for a fact, that attractive tattoo-free nekkid women used to exist.